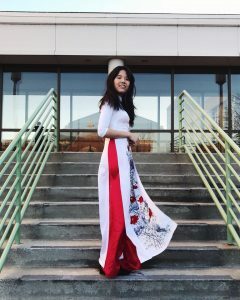 It was a day in my Vietnamese áo dài (our traditional costume), Vietnamese food and non-Vietnamese friends! I am an international student. 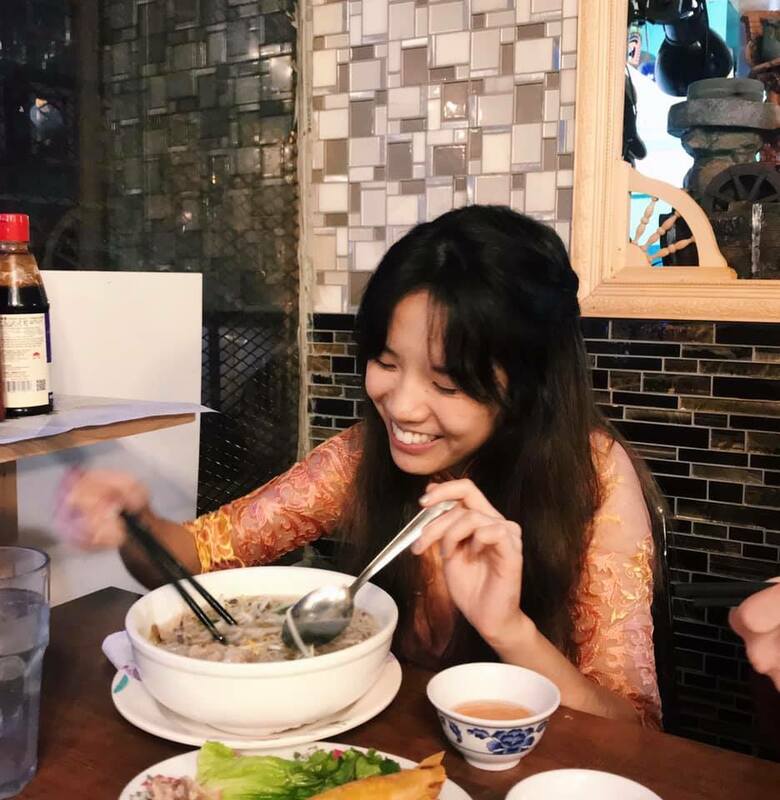 I was born and raised in Vietnam and have been in Chicago for almost two years for university. In Vietnam, we celebrate Lunar New Year, which tends to come around early to mid-February – whenever the moon decides to finish its cycle haha. It’s a tradition in countries that celebrate Lunar New Year to gather with their family and friends for food and celebrations. Noon on Monday, February 4th was when the clock hit midnight signifying the walk into the new Lunar New Year 2019 in Vietnam. I, as usual, was in class. Last year, I was able to wish my parents and brother on Facebook under the table (shhh) but this year, noon on a Monday meant THTR 266 – Acting I and so, my found sat on silent in my bag as the fireworks crackled back home. Right after class ended at 12:10pm, I had a 25 minute break before my next class THTR 352 – Design II and so I quickly called my parents. 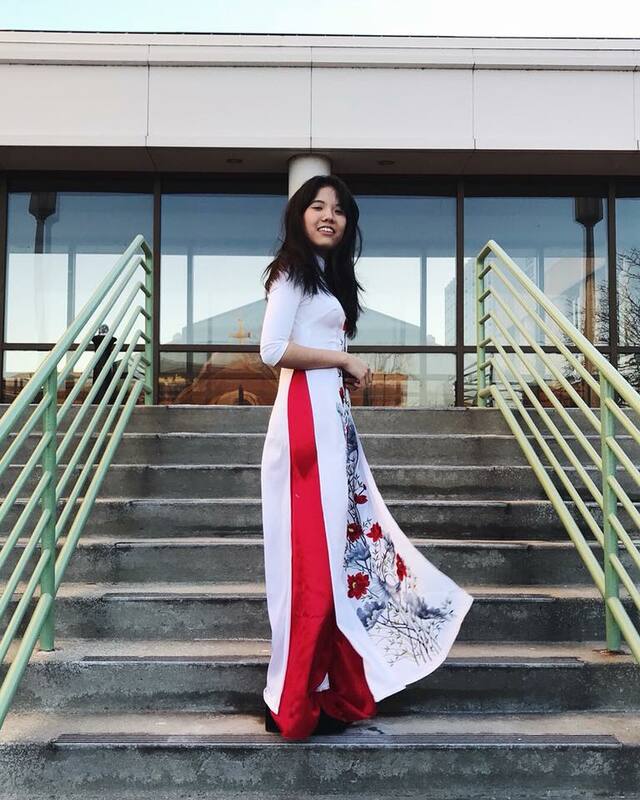 I was running from Mundelein in my áo dài, wrapped in my winter coat and holding a Starbucks. I felt very cultured. It was nice to hear their stories about celebrations back home, though things were a little quieter with me being in Chicago, and with my dad being under the weather this year. Seeing them smile upon my call home from class in my traditional costume, made me even more homesick. 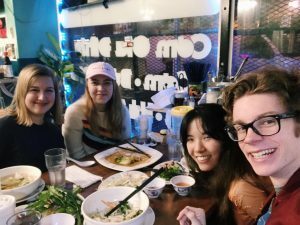 Later that day, my friends and I took the L to Argyle and had Vietnamese food at Nhà Hàng Việt Nam. I let them choose their order though they insisted on my recommendations. To my surprise they all chose VERY special and authentic dishes – it was a proud moment for me. They their first shared reactions to the food whilst I shared stories of traditions back home. Chicago was still chilly that day but my heart was warm. I made sure and will continue to wear my culture with pride each year. Don’t forget traditions even when you’re half way around the world from where you learnt them. Besides, it’s always fun to answer the questions that people ask when they pass by. Happy Lunar New Year everyone!